Sadly, the Harper government is in favor of Enbridge and the Northern Gateway project. Environmentalists, First Nations, and Spirit Bears are not. 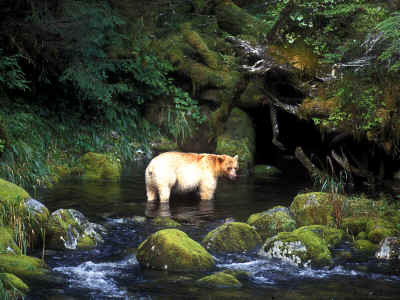 Save the Spirit Bear Coast! The Northern Gateway tar sands pipeline, proposed by energy giant Enbridge, would transport the world’s dirtiest oil from the Alberta tar sands to British Columbia’s Spirit Bear Coast. Tell Enbridge to respect the wishes of the First Nations who oppose the pipeline and to withdraw its application for this destructive project.